What – a new look and new products? Ever faithful to the name of the blog, I’ve found that everything in some way or another is a journey. Some of those journeys are short, some can take unexpected turns, and some just simply take a longer time than expected. Such is the case with this new look and new product offering. Arriving at this point has not been without help. Much credit must be given to Jeri Walker/Editor and David Sutoyo/Web Support who have been instrumental in making the website’s new look and the new products come about. So what’s new? Let’s take a look. The first thing you will notice is the large box that announces my new recipe booklets for sale exclusively on my website. 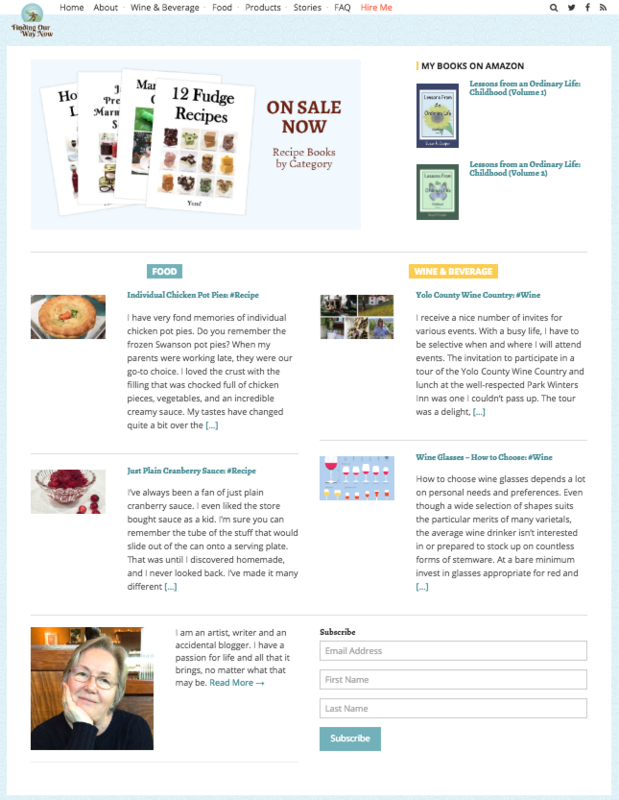 Each booklet offered is chocked full of recipes in a specific category, some of which have not been published on my website. 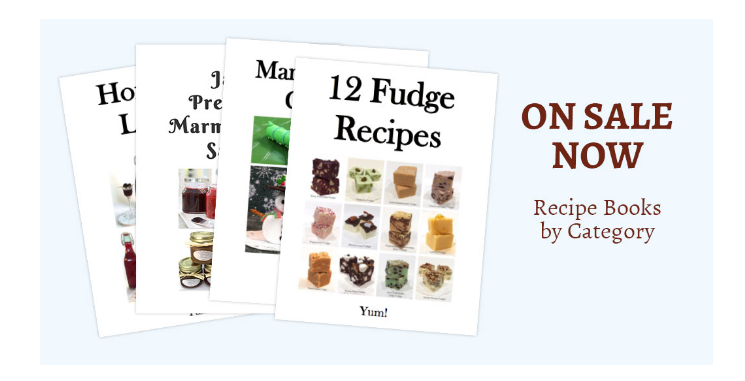 When you click on the “On Sale Now” box it will take you to my new eStore where you can browse the various recipe booklets that are currently for sale. Please take a moment to browse my offerings. As the new year progresses, I (with the help of my editor and web guy) will be adding new booklets by category. Off to the side is the list of my books available on Amazon. Again, as the year progresses, there will be more added to that list. Then there are the other changes to the home page. The layout is much different than before. 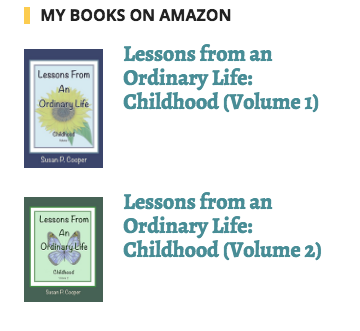 Some of the changes were the result of recommendations from my readers. Many changes were the product of the new direction I have been taking with the blog. As I’m sure you have noticed, I’ve been focused more on food and wine. The stories and my love of drawing are still there, but not the main story line. You will find searching for something should be easier too. Click on the magnifying glass to see the difference. So why the push for my new products? The answer to that question is complicated. First, it was the result of my readers’ requests. Second, it’s a way to support the cost of running my blog and to make a bit of income. In any case, I do hope you’ll take a moment to peruse the changes and check out my product offerings. If you see something you like and purchase, please let me know what you think.